Courtesy of the Tread of Pioneers Museum. Howelsen helped Colorado skiing go from practical to recreational, bring winter sports into the limelight. Colorado is not just known for skiing ... it's famous for it. Our industry has attracted around 13 million skiers during its record season a few years ago, and we continue to send people sailing down the slopes by the millions every year. But believe it or not, there was a time that snowpack and fresh powder were mostly discussed in terms water flow and agriculture than the condition of the slopes. So, how did we become such a ski mecca? To find out, we need to 'ski sail' into the past and meet Carl Howelsen, the Father of Colorado Skiing. Picture it: Grand County Colorado, 1911. Hot Sulphur Springs held its first ever Winter Carnival, the brainchild of John Peyer (who definitely deserves credit for setting the foundation for the ski industry). Now, skiing wasn't really a new hobby at that time. It was around since about the 1880s but was mostly a way to get from point A to Point B. However, the Hot Sulphur Springs Winter Carnival really changed all that thanks to advertising and the marquee act, a Norwegian 'ski sailer' named Carl Howelsen (born as Karl Holvesen). Howelsen was born in Kristiana (Oslo), Norway, and as a young man, was one of Norway's top Nordic skiers. Whether by land or by air, he was a force to be reckoned with. In 1895, at the age of 18, he was among the top ski jumpers and cross-country skiers in his country. He won the grueling 50-kilometer Nordic combined race for the second time in 1903, which was considered the greatest Nordic tourney of the world. His skill was unrivaled. This world-class athlete came to the United States in 1905, settling in Chicago where he found work as a stone mason. But it didn't take long for his talents to shine. "There he was discovered by Barnum & Bailey Circus and became a star attraction, jumping over 80 feet in the "Greatest Show on Earth," says the Tread of Pioneers Museum, located in Steamboat Springs. This work took The Flying Norseman, as he was known, to Colorado to show off his skills, including the Hot Sulphur Springs Winter Carnival, which is often touted as the first Colorado ski tourney. Carl Howelsen. Courtesy of VisitSteamboat.com. It was near here, in Steamboat Springs, that he really brought his love of snow sports to life in the U.S., and subsequently put Steamboat on the map as Ski Town USA. Howelsen was invited to Steamboat by Marjorie Perry, and he started the first winter carnival in the town in 1914, hosting competitive ski events, ski jumping competitions, and cross-country ski races on Woodchuck Hill. The Steamboat Springs Winter Sports Club was founded to promote the event. The carnival went so well, that it moved in its second year to terrain southwest of downtown Steamboat. 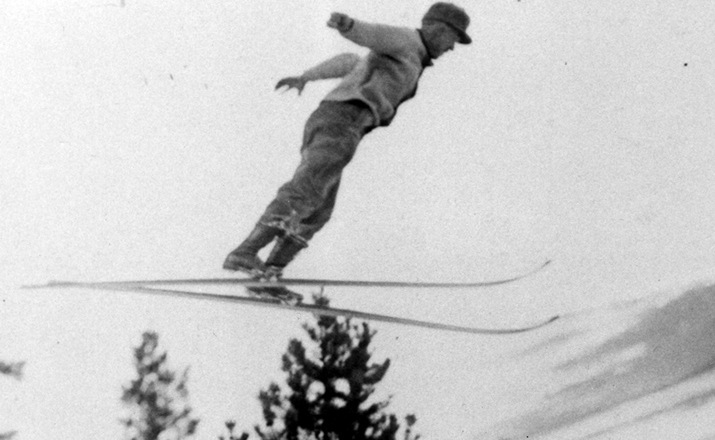 Howelsen made the first ski jump there in 1915, and eventually, the area was named after The Flying Norseman himself, still bearing the Howelsen Hill name to this day. "In its early years, the ski area was known to locals as 'Big Hill' or 'A Hill' or 'Big H.' During the fourth Winter Carnival, in 1917, the ski area was renamed in honor of Howelsen," says ColoradoEncycylopedia.org. Interestingly, Howelsen Hill, which is still open today, was the site of a national ski jumping record for the first time 1916 and for the last time in 1980. Howelsen is often called the Father of Colorado Skiing because of his enthusiasm and promotion of skiing and ski jumping, as is shown in one letter to Perry in 1917. "The skisport is getting more popular every winter, in the east and so in the west. And by hearing of this long jump, which can be made here in Steamboat, and far beyond any other places, we will have more people and better carnival every winter," he wrote. "We have to have this jumping contest in order to attract people, although this is just a fraction of the skisport. In general, skisport is for everyone and will be enjoyed in years to come." The Wild Swede, another nickname he earned, was right about the sport growing in popularity, and he sparked a recreation revolution, with trainloads of Denverites arriving in Steamboat to ski the famous Howelsen Hill. It has served as a foundation for Olympic training and more over the years. "Howelsen has been the training ground for nearly 90 Olympians making over 150 Winter Olympic appearances, 22 members of the Colorado Ski Hall of Fame, and 13 members of the National Ski Hall of Fame," says SteamboatSprings.net. 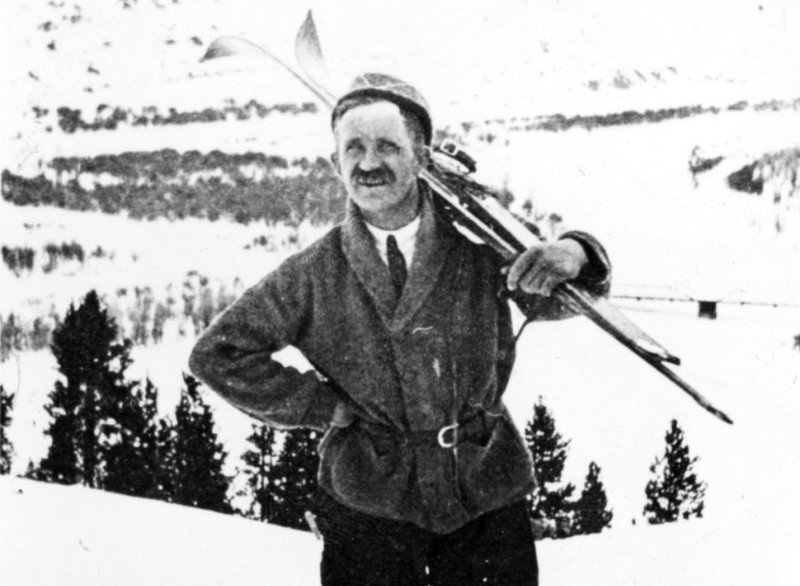 While Howelsen returned to Sweden in 1922 to care for his aging parents and remained there until his passing in 1955, his influence on Colorado, from our economy to our winter sports fame, is hard to miss today. By introducing his passion for winter sports, he transformed skiing from just a way to get around to a true passion for so many. In fact, he indirectly helped in the creation of another well-known ski area in 1913 when a young George Ernest Cranmer saw Howelsen fly from an improvised a ski jump on the lawn of the Colorado State Capitol, which was smothered in snow after the blizzard of ’13. Cranmer was in awe and later went on to found Winter Park Resort. You can still visit the homage to Howelsen's love of skiing today. The oldest continually operating ski area in Colorado, Howelsen Hill is alive and well, and you can ski the same terrain that has sent so many top competitors to international victories. What do you think? Share your thoughts with us in the comments. Read our previous installment in the 'Our Coloradans Then' series: Infamous outlaws in the Centennial State!